Sixt has branches across the country to ensure we are right there when you want to rent a car in Turkey. You will find us in Turkey's big cities, at coastal resort areas and close to tourist destinations. Our car rental fleet is just as extensive as our branch network and whatever your mobility requirements for car rental in Turkey, you can be sure we have the rental car to meet your needs. Turkey is a country of fascinating cities, stunning beaches, wild landscapes and ancient architectural wonders. When you choose car rental in Turkey from Sixt, you can explore all of these attractions, from the Turquoise Coast to Istanbul. Book online to find the best option for your trip to Turkey from our large fleet of vehicles. 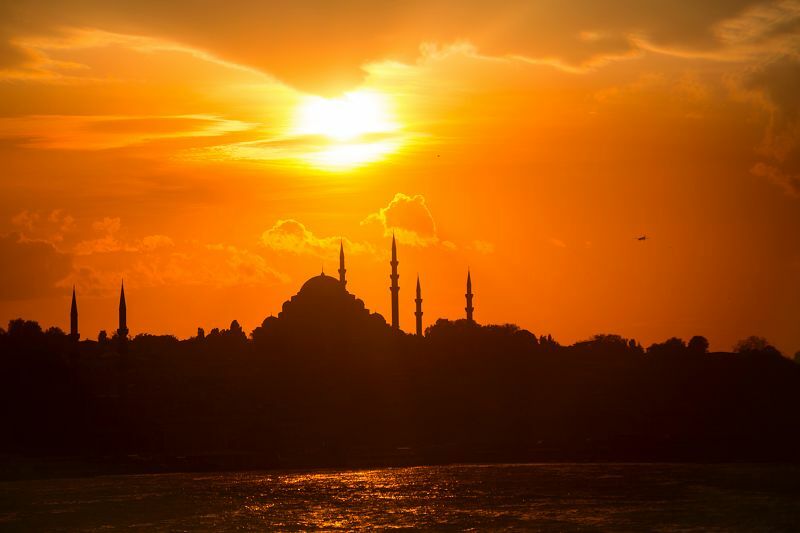 Avoid the crowds and soak up the culture and scenery when you visit Turkey in winter. If you are in the part of country that lies on the Mediterranean, you can see the Greco Roman ruins without hordes of tourists. And did you know that Turkey has more than a dozen places to go skiing? Palandöken in the east features the countries highest and longest ski runs. Even Istanbul is much more pleasant in winter with fewer people visiting in colder weather. Visit a Turkish bath if you catch a chill. The weather can be rainy and snowy, especially in higher elevations. Make sure to bring warm clothing and thing about renting a 4-wheel-drive vehicle like an SUV. If you are going to the mountain be sure to ask about ski rack and snow tire availability. Visitors come to Turkey for many reasons, perhaps to enjoy the beaches, explore the rugged country, visit unique cities or enjoy some of the world's most outstanding archaeological sites. Whatever your own plans, we can accommodate them with the ideal vehicle when you rent a car in Turkey from Sixt. A city car provides great economy and agility through busy city streets, while a luxury sedan offers superb levels of comfort. An SUV will help you tackle those mountain roads and a minivan can be the perfect answer for larger parties. Once you have chosen your ideal rental car, you can then select the add-ons to fit with your preferences. A navigation system allows stress-free exploring, while enhanced protection options such as tire and windscreen protection are great for peace of mind. Remember that booking in advance secures better deals for car rental in Turkey and ensures availability of your chosen car and options. To rent a car with Sixt in Turkey, you need to present your ID card or passport when you pick up your car. You will also need a valid driving license. If you have been in Turkey for more than six months you will need a Turkish driving license. If your license utilizes a non-Latin alphabet, such as Japanese, Arabic or Russian, you will also need an International Driving Permit (IDP). In order to rent a car in with Sixt in Turkey, you must be at least 25 and have held your license for a minimum of three years. Further age restrictions may apply depending on the model of rental vehicle. These will be highlighted on Rental Information section found on the booking engine during the reservation process. Sixt accepts all major credit cards but debit and prepaid cards are not accepted. You must report all accidents to the police, even if no other vehicle was involved. The police can be contacted by dialing 155 and ambulances are reached on 112. You must also report all accidents immediately to Sixt and complete the accident report form. Our car rental deals in Turkey do not permit cross border travel and all coverage will be invalidated if the rental vehicle leaves the country. More information is available here: Rental Information. Turkey's major roads have been substantially upgraded and highways are generally in good condition around major cities and in the coastal tourist regions in the south and west. The E80 and E89 connect Istanbul with Ankara and the E881 runs from Istanbul to the coast at Izmir. Across Turkey many highways and bridges require tolls to be paid. These are determined by the length of the toll road and the type of the vehicle. Tolls are collected in cash at toll booths before entering the road or bridge, so it's a good idea to have change on hand. All vehicle occupants must wear seatbelts. Children under 12 cannot ride in the front seats. Speed limits are generally 30 mph in urban areas, 55 mph on two-lane roads and 75 mph on highways. The Sultan Ahmed Mosque in Istanbul dates from 1609, when it was commissioned by Sultan Ahmed I. Its six minarets and cascade of domes decorate the city's skyline and the blue-tiled interior and stained glass windows create a special atmosphere. The Hagia Sophia was built in the 5th century by the Emperor Justinian. It has been both mosque and church and was the world's largest cathedral for 1,000 years. The Topkapi Palace was home to the rulers of the Ottoman Empire from 1465 to 1856. Today it contains a fascinating museum dedicated to Turkey's imperial past. Outside the palace, a series of courtyards, gardens and fountains create a stunning location for a stroll. The Bosphorus Bridge, meanwhile, is a spectacular suspension bridge connecting Asia with Europe. Ephesus City, on the western coast to the south of Izmir, is the site of impressive Greek ruins dating from the 6th century BC. It was the site of the Temple of Artemis, one of the seven wonders of the ancient world. The Ankara State Art and Culture Museum was built in 1927 by architect Arif Hikmet Koyunoğlu and the impressive building houses a fine collection of Turkish art. Bodrum Castle in southwest Turkey was built by the Knights Hospitaller in the 15th century and today houses the Museum of Underwater Archaeology. 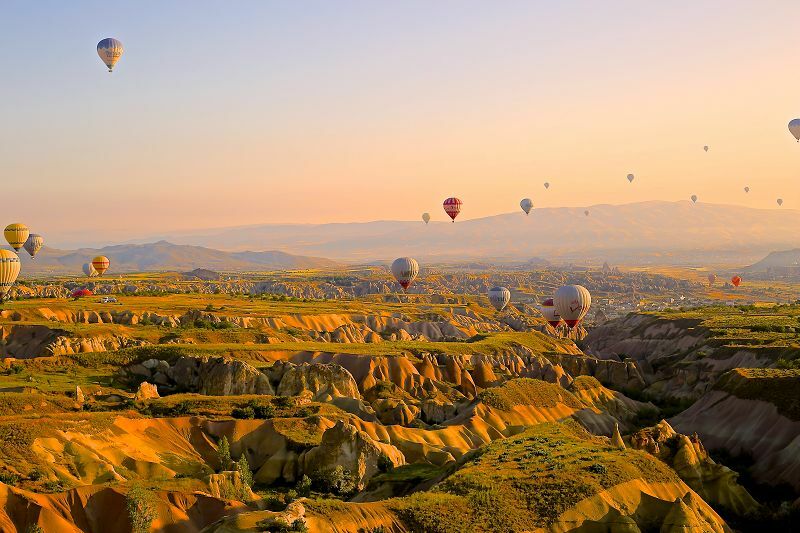 Cappadocia looks like something from another world. Honeycombed hills and rock towers have been carved to provide homes over centuries, especially in Derinkuyu and Kaymakli. Balloon rides provide a fabulous way to view the landscape. Pamukkale is another geological wonder, featuring calcite terraces containing pools of mineral-rich waters. It has been the site of a spa since Roman times and is now a UNESCO World Heritage Site with a great museum and important ruins. The Bosphorus is a hugely important waterway, dividing Europe and Asia. It connects the Black Sea with the Sea of Marmara and forms a spectacular, narrow channel. Mount Ararat is Turkey's highest mountain, reaching to more than 16,000 ft. It has long been thought to be the resting place for Noah's Ark and this snow-capped dormant volcano makes a stunning landscape.